whats the ruckus all about? 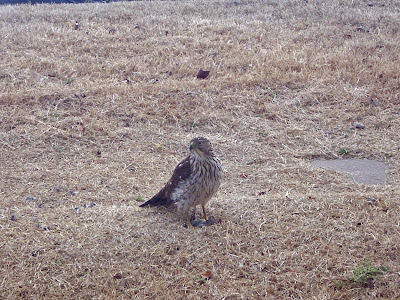 yesterday my dogs were going crazy couldnt figure out what they were barking about i looked to see if someone was out side no it wasnt a person but a hawk! it appeared to have just caught something in my front yard. Maybe you should get paid if your yard is a wildlife preserve.